Leland Blue and Petoskey stone Unity Bead - Petoskey Stone Gifts - Northern Michigan Gifts--Traverse City, too! * This product ships directly from Korner Gems. Korner Gem's one of a kind unity beads are unique pendants designed in the shape of a yin yang. Unity beads can easily be interchanged with other stones and various add-on parts. Every stone is hand selected for the best quality and color. The design was inspired by walking the beaches of Lake Michigan and the idea of water and sand coming together. The range of color in Leland blue can range from a dark purple to a light blue, with some variations of green. 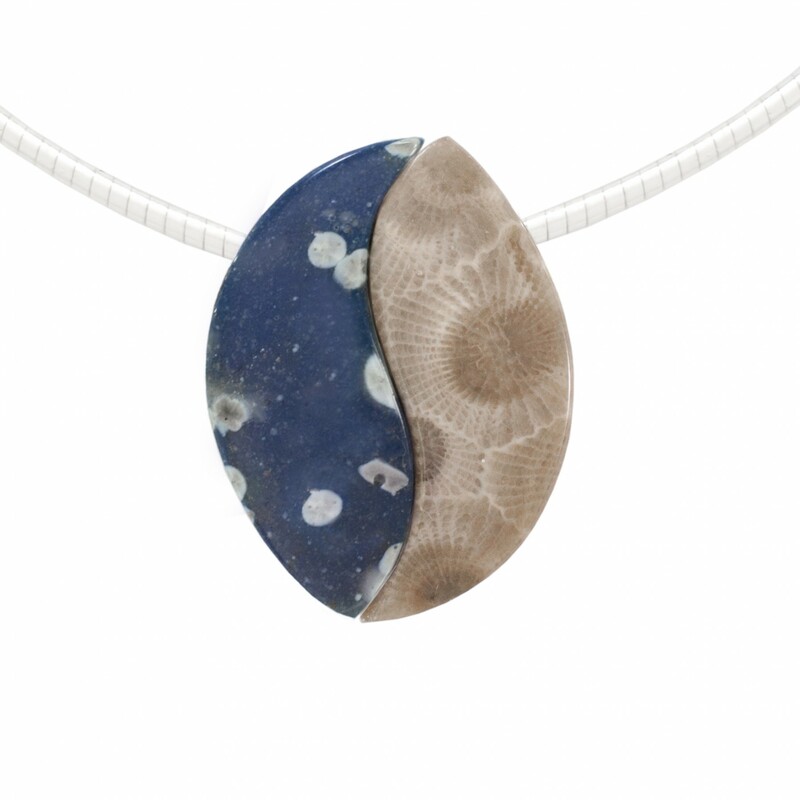 *Leland Blue and Petoskey stones are natural stones and will range in color. *The product seen in the picture is for advertisement purposes only. *Color or pattern may vary slightly. *Unity Beads are about an 1" wide by 1 1/4" tall.